December 18, 2017 | ProgressTH US-based aerospace company SpaceX this month passed another important milestone. It successfully launched one of its Falcon 9 rockets using both a recovered first stage (which successfully landed again) and a recovered Dragon space capsule. 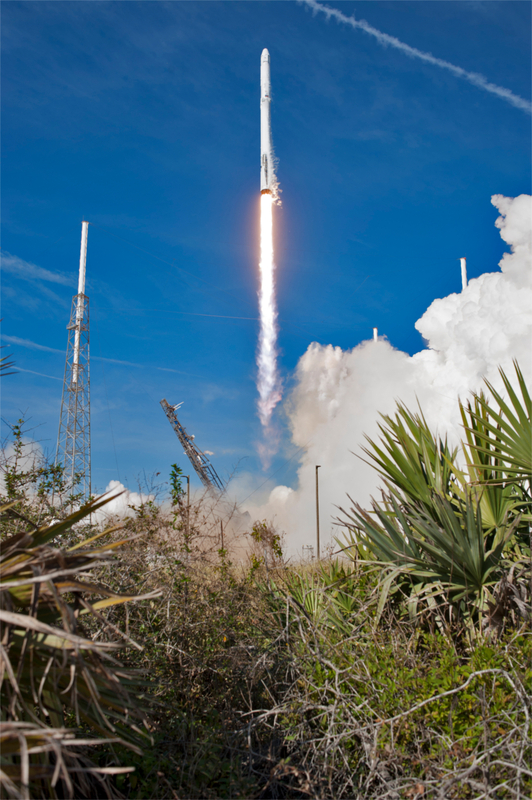 The launch was part of the Commercial Resupply Service mission 13 (CRS-13) bringing supplies to the permanently manned International Space Station (ISS). The SpaceX Dragon capsule is the only other vehicle able to send supplies to the ISS and return payloads back to Earth besides Russia's Soyuz spacecraft which is also currently the only means of sending humans to and from the ISS. The launch represents expanding Earth to orbit capabilities which are a necessary prerequisite to SpaceX founder Elon Musk's vision of transforming humanity into a multi-planetary species. The company is already preparing to test launch the much larger and more capable Falcon Heavy launch system which it will be used to send payloads to Mars. Contemporary pundits often debate on the future of our planet focused on solving today's and even tomorrow's problems with archaic solutions dependent on current or even antiquated technology. Rarely ever does the debate find itself framed within the context of solving tomorrow's problems with tomorrow's technology. In reality, tomorrow's problems require tomorrow's solutions. SpaceX is an example of this. The Falcon 9 and Dragon will never succeed by themselves in making humanity multi-planetary, but they are absolute prerequisites toward that end. The problem being multi-planetary solves is overpopulation, the depletion of natural resources, and all other aspects of scarcity tied to a infinite demand and limited supply. It is also a hedge against catastrophe that could befall the Earth and all of its inhabitants should we all remain upon one single and relatively fragile planet. It is estimated that in our solar system alone there are resources and space enough to support a population well over a trillion. Asteroid mining could lead to the construction of entire cities upon artificial habitats orbiting the sun. Computer-controlled manufacturing today already proves the positive impact on resource scarcity technology has, and as manufacturing becomes easier, cheaper, and more accessible to more people, this positive impact will continue to edge toward what is known as post-scarcity. But even in a post-scarcity future, land itself would be scarce, that is, unless we were multi-planetary. And as far-fetched as all of this sounds, at one point very recently, it was considered far-fetched to land, recover, and reuse rocket stages and space capsules.